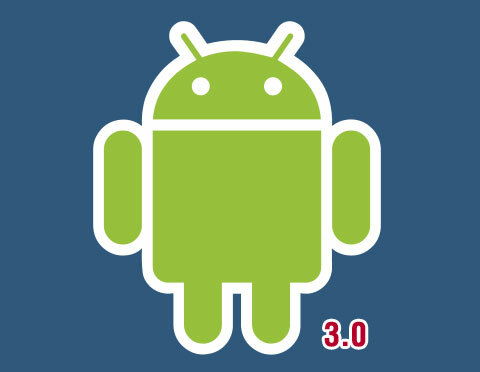 Google’s next update to its Android OS, Android 3.0 or ‘Gingerbread’ as it’s called, is reported to be coming in the fall this year. The news was disclosed through a Russian podcast by Eldar Murtazin and has the fans buzzing. The leaked details suggest that Gingerbread will be essentially a separate branch of the Android development cycle. It’s geared towards larger devices, and may be excluded from smaller handsets altogether. It will be released mid-October 2010. Just in time for the Black Friday and the holiday season rush. Minimum Hardware requirements: 1 GHz CPU, 512MB RAM, 3.5" displays and higher. As of now, the majority of handsets do not fall within the minimum, allowing the new OS to focus on bigger systems, namely tablets. 1280×760 resolution available on screens 4" or bigger. Overhauled user interface. UnwiredView.com compares it to the Gallery App on Android 2.2, just throughout the whole UI. Less reliance on third-party UI shells like HTC’s Sense or Motorola’s MotoBlur.